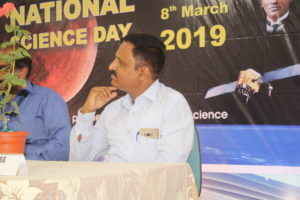 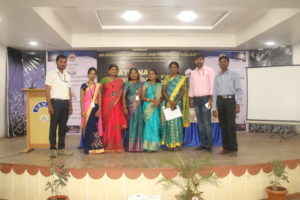 Karnataka Science and Technology Academy (KSTA) and the Department of Science of SBMJC KGF jointly organized National Science Day to create awareness about the science and its role in our daily life and in different fields at SBMJC, KGF on 8th March 2019 .National science day always encourage students to pursue knowledge as the learners engage in learning outside the classroom as a key integrated element of their experience. 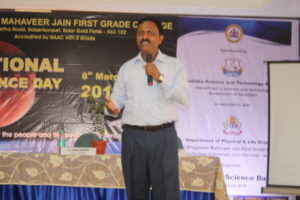 Sri Bhagawan Mahaveer Jain College, KGF, is the brain child of the Visionary Dr. Chenraj Jain, the Founder, Chairman, JGI and Chancellor, Jain University, an addition to the JGI family, standing proudly on the soil of KGF. 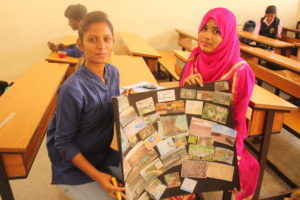 It is furnished with an excellent teaching and ministerial infrastructure, offering out-standing and unequivocal nourishment for the pursuance of Education. 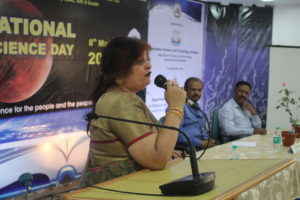 The inaugural address delivered to the gathering by Dr.Rekhasethi, Principal ,SBMJC,K.G.F about the importance of science in day to day life and enlightened about role of students in handling the science. 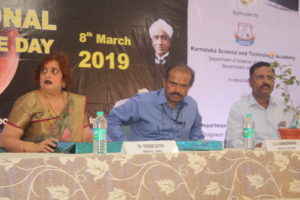 The department of Life Sciences and Physical Science of SBMJC, KGF celebrated national science day with the theme “Science for people and people for Science” on 8th march 2019 sponsored by KSTA. 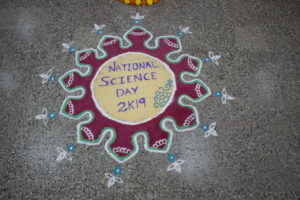 Two hundred and twenty five students and ten faculty members of various colleges in Kolar District registered to participate in the national science day. 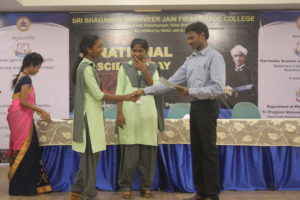 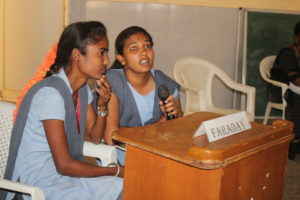 The competitions such as puzzle, drawing, collage and quiz were conducted for the students to bring an awareness about science concepts..
Technical session I :Dr Ramachandra, Sciencitist ‘G’, GTRE, DRDO, Bangalore addressed the gathering about C.V.Raman and its achievements in the field of research .He stressed about importance of noble prizes and also encouraged to learn the new things and he emphasized about the systematic learning of different technologies. 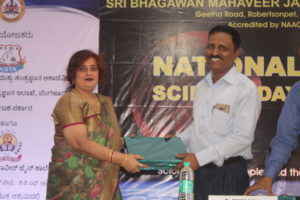 Technical session II Dr B N Nagendra ,Senior scientist –S F , Facility centre UR Rao satellite centre, Bangalore. 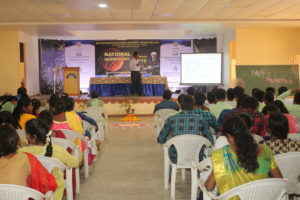 He spoke about the types of satellite ,components and its application in different fields such as telecommunication,navigation,earth observation ,weather broadcasting ,GPS ,launch vehicles etc. 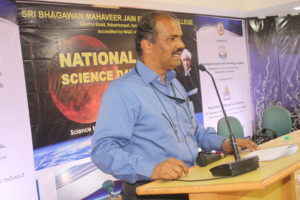 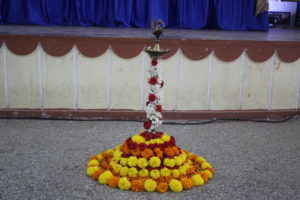 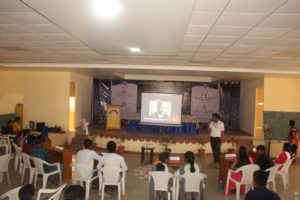 He encouraged and guided the students to continue their carrier with ISRO in future. 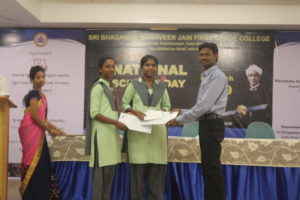 In the National Science Day various intercollegiate competitions organized at district level more than 10 colleges participated in quiz , collage, puzzle and drawing competitions .Students enthusiastically participated in all the events and won the cash prizes. 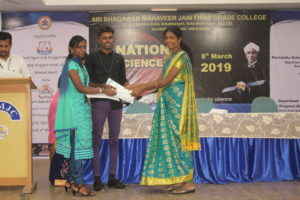 This entry was posted in Campus drives, Science on March 8, 2019 by sbmjcPRO.